Anyone who has been around parents with young children knows that parents often have to repeat their instructions many times. Parents have to reiterate the same ideas to their children to help them mature and to prepare them to live fruitful lives. In a similar way, when we read the book of Acts, it quickly becomes evident that Luke addressed some themes many times. These repeated motifs run throughout his book and are important keys to understanding Luke's teaching. So, if we hope to grasp the significance of the book of Acts, we must pay careful attention to these repeated themes. 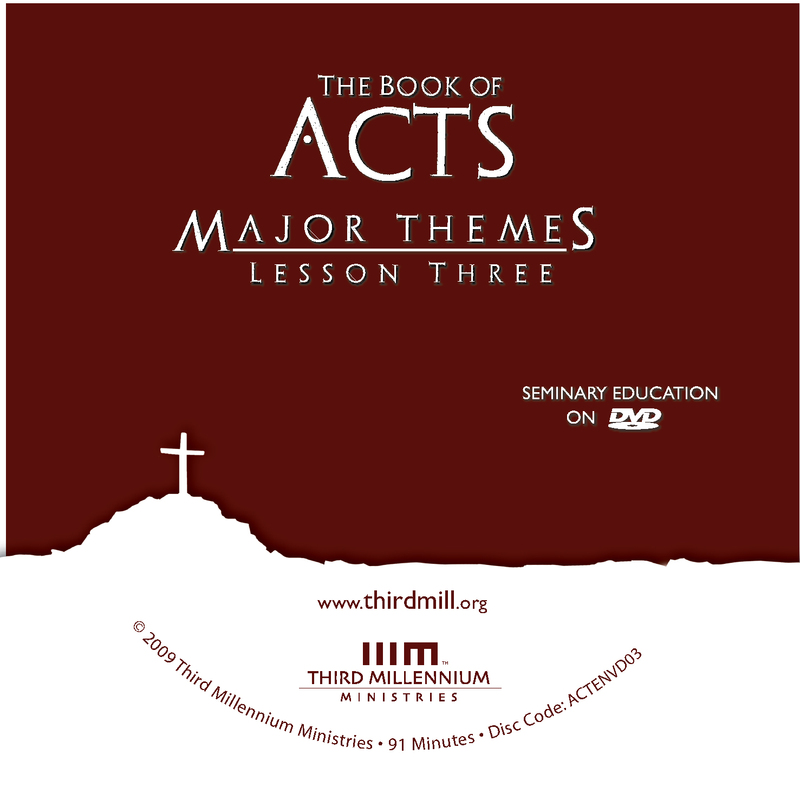 This is the third lesson of our series The Book of Acts , and we have entitled this lesson "Major Themes." In this lesson, we will look at three major concepts that Luke addressed time and again as he unfolded the unhindered spread of the gospel of God's kingdom in the days of the early church. In earlier lessons we summarized Luke's purpose for the book of Acts by saying that he wrote a historical account about the dynamic impact of the gospel message. As we have seen, Luke recorded the facts of history as a reliable testimony to the continuing work of Christ through the Holy Spirit. In this lesson we will explore this purpose more thoroughly by delving into some of the major themes Luke used to illustrate and support this main idea. We will explore three major themes that are introduced in the opening of the book of Acts and developed throughout its chapters. First, we will look at the theme of the Holy Spirit, who empowered the church to expand Christ's kingdom. Second, we will focus on the apostles, the men called to testify to Christ and authorized to lead and to serve the church of Christ. And third, we will consider the theme of the church that the apostles established to ensure that the gospel and the kingdom would continue to spread throughout history. Let's turn first to the Holy Spirit and his role in Acts. The book of Acts presents a rich theology of the Holy Spirit. It describes him as the one that empowers the church to live transformed lives and to evangelize the world. It records that he performed many signs and wonders to validate the ministry of the apostles and other early church leaders. It testifies that he gave great courage to Christians who faced opposition and persecution. In short, Acts describes the Holy Spirit as the one whose power enables the spread of the gospel and the kingdom, and as the one who empowers his people for godly living. While the Spirit worked in a variety of ways in Acts, we will focus on his influence over the church in three periods of time. First, we will look at the Spirit in Acts before Pentecost. Second, we will examine the outpouring of the Spirit in Jerusalem on the day of Pentecost. And third, we will investigate the work of the Spirit after Pentecost. Let's look first at how the book of Acts describes the Spirit before Pentecost. [Jesus] appeared to them over a period of forty days and spoke about the kingdom of God (Acts 1:3). As we will see, one critical element in Jesus' teaching about the kingdom was that the Holy Spirit would soon come in a particular way to the apostles. We will touch on two aspects of Jesus' teaching about the Holy Spirit before Pentecost. First, we will look at the timing of the Holy Spirit's coming. And second, we will focus on the purpose of his coming. Let's first consider Jesus' teaching on the timing of the Holy Spirit's arrival. "Do not leave Jerusalem, but wait for the gift my Father promised … in a few days you will be baptized with the Holy Spirit." [The apostles] asked him, "Lord, are you at this time going to restore the kingdom to Israel?" He said to them: "It is not for you to know the times or dates the Father has set by his own authority. But you will receive power when the Holy Spirit comes on you; and you will be my witnesses in Jerusalem, and in all Judea and Samaria and to the ends of the earth" (Acts 1:4-8). Notice that when Jesus announced the coming baptism of the Spirit, the apostles asked if Jesus was about to restore the kingdom to Israel. The expression restore the kingdom to Israel is unfamiliar to many modern readers, so we should pause to explain it. The Old Testament prophets predicted that because Israel and Judah's sins were so great, God would exile them from the Promised Land and subject them to the tyranny of foreign rulers. Based on Old Testament prophecies, Jews believed that God would later send the Messiah to restore his people by forgiving their sins, returning them to the Land, and ruling over them. As a descendant of David, the Messiah would become king over Israel and Judah, turning the Promised Land into the center of God's kingdom on earth, where God's people would enjoy eternal and blessed life. By the first century, Israel had suffered judgment for hundreds of years, and desperately longed for a political Messiah to restore the kingdom of Israel. So, when the apostles learned that Jesus was about to ascend into heaven, they hoped that he would fulfill these Old Testament predictions before he left. This is why they asked him about the restoration of the kingdom to Israel. However, Jesus taught that this popular expectation of a sudden political restoration of the kingdom to Israel was misguided and that the spread of the gospel throughout the world and Christ's glorious return would be the way God fulfilled Old Testament prophecy. But why did the apostles ask about the restoration of the kingdom in response to Jesus' statements about the baptism of the Holy Spirit? Well, once again, the apostles were thinking about Old Testament prophecy. In a number of passages, the Old Testament prophets predicted that when judgment was over, God would pour out his Spirit as never before. I will pour water on the thirsty land, and streams on the dry ground; I will pour out my Spirit on your offspring, and my blessing on your descendants. They will spring up like grass in a meadow, like poplar trees by flowing streams (Isaiah 44:3-4). Here Isaiah spoke about restoration, saying that God would pour out his Spirit on the land. Old Testament prophets proclaimed that before the Messiah came, Israel would live in what the rabbi's called this age of sin, corruption and death. And they announced that when the Messiah came, he would usher in a new age, what the rabbi's called the age to come, the age in which God's enemies would be judged, and his people ultimately and irrevocably blessed. Old Testament prophets never spelled out how long this process would take, but most rabbis expected it to happen all at once. In contrast to this view, Jesus explained that God's kingdom would unfold over time by spreading throughout the nations. Instead of coming all at once, the transition to the glorious kingdom of God would come in stages. The age to come would be inaugurated during Jesus' earthly ministry. It would continue during Christ's reign in heaven, as the kingdom spread through the ministry of the gospel. And when Jesus returned in the future, this age of sin would completely end, and the universal, messianic kingdom would reach its consummation. This outlook on the coming of the kingdom explains why Jesus responded to the apostles as he did. The Holy Spirit was about to be poured out on the church, but this did not mean that the consummation of all things was near. Jesus had only inaugurated the kingdom, and the blessing of the Spirit would equip his church as it continued to live in a sinful world prior to his return. With the timing of the Holy Spirit's coming in mind, we should turn to the purpose of his coming. You will receive power when the Holy Spirit comes on you; and you will be my witnesses in Jerusalem, and in all Judea and Samaria and to the ends of the earth (Acts 1:8). In these words, Jesus redirected the apostles to think about the baptism of the Spirit in new ways. Rather than ushering in the final state of the kingdom, the Spirit was to be poured out to empower the apostles to be Christ's godly and faithful witnesses. Let's unpack what Jesus said by focusing on two dimensions of the Spirit's ministry: power and godly witnesses. First, Jesus said that the disciples would receive power through the baptism of the Spirit. The association of the Spirit with power was common in the Old Testament, often being represented by the expression "Spirit of God," which translates the Hebrew phrase ruach elohim.  This Hebrew expression referred to a powerful wind or force of energy from God. In the Old Testament, God's Spirit worked powerfully in the world at large to bring God's will to pass. The Holy Spirit's power was also manifested in dramatic ways in people's lives. For instance, when the Spirit of God came upon Samson in Judges 14–15, Samson performed miraculous physical feats that brought Israel great victories over the Philistines. But as for me, I am filled with power, with the Spirit of the Lord (Micah 3:8). In this passage, Micah explained that the Spirit had emboldened him to speak the truth even though he was opposed by false prophets. So, when Jesus told his apostles that he would baptize them with the Holy Spirit to empower them as his witnesses, he indicated that the Spirit would act in them as he had acted through others in the Old Testament. The Holy Spirit would also perform acts of power to authenticate the truth of the apostles' message, and he would give them words to speak to those who opposed them. And of course, these demonstrations of the Spirit appear over and over in the book of Acts. Now that we have seen some of the ways Luke introduced the Holy Spirit before Pentecost, we should turn to the outpouring of the Spirit on the day of Pentecost as the church was gathered in Jerusalem. When the day of Pentecost came, they were all together in one place. Suddenly a sound like the blowing of a violent wind came from heaven and filled the whole house where they were sitting. They saw what seemed to be tongues of fire that separated and came to rest on each of them. All of them were filled with the Holy Spirit and began to speak in other tongues as the Spirit enabled them (Acts 2:1-4). 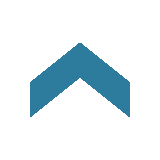 To explore the importance of this event, we will touch on three main issues. First, we will look at the significance of Pentecost. Second, we will consider the phenomenon of speaking in tongues. And third, we will discuss the results of these events. Let's consider first the significance of Pentecost. Pentecost was a time of celebration in Israel's sacred calendar that was closely connected with Passover. According to Exodus 12 and Leviticus 23, Passover was the time of year when Israel remembered their deliverance from Egypt. It commemorated the night of the final plague, when God killed the firstborn Egyptian sons but passed over the homes of faithful Israelites. The Passover celebration reminded the Jews of the way God had freed them from slavery in Egypt. Pentecost was held about 50 days after Passover, at the time of the early harvest. It originally celebrated God's provision of sustenance in the land of promise. At this time, the Israelites made offerings from the first fruit of their harvest as an act of thanksgiving for all the crops they hoped to harvest that year. In addition to this, by the time of the New Testament, the Jews also remembered the giving of God's Law to Moses during the celebration of Pentecost. The outpouring of the Holy Spirit at this time was also significant for the early church because it reminded them of the hope announced by the prophet Jeremiah. "The time is coming," declares the Lord, "when I will make a new covenant with the house of Israel and with the house of Judah… I will put my law in their minds and write it on their hearts. I will be their God, and they will be my people" (Jeremiah 31:31-33). The writing of the law in the heart was a work of the Spirit of God promised in the Old Testament and fulfilled in the New Testament. In keeping with this Old Testament background, the outpouring of the Spirit on the day of Pentecost in Acts 2 was particularly significant for the Christian church. Jesus' sacrifice on the cross occurred during the feast of Passover. He died as the final Passover lamb, securing for God's people eternal deliverance from slavery to sin and death. Christ, our Passover lamb, has been sacrificed (1 Corinthians 5:7). … have the firstfruits of the Spirit (Romans 8:23). As Luke wrote his account of the outpouring of the Spirit, he emphasized its association with Pentecost to indicate the grand significance of what happened. This was no ordinary event; it was not even one miracle among many others. The gift of the Spirit at Pentecost began the great harvest of salvation and the inward renewal of God's people to establish the messianic kingdom of God. Now that we understand some of the significance of Pentecost as the time of the outpouring of the Spirit, we should turn to the phenomenon of tongues as a manifestation of the Holy Spirit's presence. In Acts 2, Luke recorded that when God's Spirit was poured out on the church on the day of Pentecost, the apostles and other believers spoke in other tongues. Unfortunately, there is much confusion in the church over the gift of tongues. So, we should take a moment to reflect on two questions. First, what was the gift of tongues? And second, why did God give this gift? In the modern church, different Christians understand the gift of tongues in different ways. Some argue that tongues were a miracle of hearing rather than of speaking. In this view, the apostles spoke ecstatic utterances, which the Spirit enabled the audience to understand in their own languages. All of them were filled with the Holy Spirit and began to speak in other tongues as the Spirit enabled them (Acts 2:4). Luke made no mention of the Holy Spirit imbuing the listeners with miraculous hearing powers. Second, the term "tongues" translates the Greek noun glossa. In the New Testament and other Greek literature, this word usually refers to ordinary human languages. And there is no substantial reason to doubt that it means anything different in this context. So, we can have confidence that the miracle of tongues at Pentecost was a supernatural ability to speak unlearned human languages. This is what was spoken by the prophet Joel: "In the last days, God says, I will pour out my Spirit on all people. Your sons and daughters will prophesy, your young men will see visions, your old men will dream dreams. Even on my servants, both men and women, I will pour out my Spirit in those days, and they will prophesy… before the coming of the great and glorious day of the Lord. And everyone who calls on the name of the Lord will be saved" (Acts 2:16-21). In this passage, Peter referred to Joel 2:28-32 to explain what was happening at Pentecost, including the miracle of tongues. Interestingly, Peter did not precisely quote the words of Joel. In the Hebrew Bible and the Septuagint, the text of Joel begins "And afterward God says, I will pour out my Spirit on all people." But Peter paraphrased Joel 2:28 saying, "In the last days." Peter's change in the wording of Joel indicates that he believed that the events on the day of Pentecost were part of the last days, the end times. Now, Peter's belief that the outpouring of the Spirit took place in the last days is supported by other words he quoted from Joel. As Peter quoted Joel 2 he indicated that the Spirit's coming was to occur before the great and glorious day of the Lord. Throughout the Old Testament, the day of the Lord was a day of God's judgment and blessing, and on a number of occasions in the Old Testament, it refers to the day when God finally and utterly defeats all his enemies and blesses all his faithful people. So, when Peter explained the outpouring of the Spirit as a display of the great and glorious day of the Lord, he was saying that what was happening on the day of Pentecost was at a great moment in history. The Spirit came at Pentecost as a wonder of the last days, a time of the glorious divine intervention establishing the final stages of the kingdom of God. Unfortunately, many Christians today miss the grand significance of the outpouring of the Spirit. Instead, it is popular for Christians to think of the events in Acts 2 as a model for every Christian's personal sanctification. We create the expectation that all truly spiritual Christians will experience the dramatic manifestation of the Spirit that occurred at Pentecost and several other occasions in Acts. Think about it this way. The New Testament teaches us that a number of great and mighty acts of God took place to inaugurate the kingdom of God. Christ died for our sins, rose from the dead, and ascended to the right hand of God the Father. Each time a person comes to faith in Christ, the merits of these events are applied to that person's life. But Christ does not die, rise and ascend every time an individual receives new life in him. In much the same way, the New Testament teaches that Pentecost was also one of those great once-for-all-time events through which God brought the last days. Later in this lesson we will see that the same is true of several other occasions when the Spirit was poured out in special ways in Acts. Since those early days of the Christian church, the presence of the Holy Spirit has been applied to the church, empowering us for service. We should always expect the Holy Spirit to be present in the lives of believers, but we should not expect precisely the same kind of manifestation as we see at Pentecost. In fact, even on other occasions of special outpourings of the Spirit in Acts, the manifestations of the Spirit were not precisely the same. The visible tongues of fire and the sound of wind, as well as the gift of prophecy and tongues at Pentecost, were not ordinary Christian experiences. They were the result of a great divine intervention, an act of God by which he inaugurated his kingdom. Now that we have seen the significance of Pentecost and looked at the miracle of tongues that accompanied the outpouring of the Holy Spirit, we should turn to the results of the events that occurred that day. As you will recall, we saw earlier in this lesson that Jesus said the Holy Spirit was given to empower the apostles to be his godly witnesses. So, as we discuss the results of Pentecost, we will focus on the way that the Holy Spirit gave power to the apostles and used this power to bless the spread of the gospel of the kingdom. To begin with, consider the way the Holy Spirit empowered the apostle Peter. When they saw the courage of Peter and John and realized that they were unschooled, ordinary men, they were astonished and they took note that these men had been with Jesus (Acts 4:13). Everyone was filled with awe, and many wonders and miraculous signs were done by the apostles (Acts 2:43). Those who accepted his message were baptized, and about three thousand were added to their number that day… And the Lord added to their number daily those who were being saved (Acts 2:41, 47). They devoted themselves to the apostles' teaching and to the fellowship, to the breaking of bread and to prayer…. Selling their possessions and goods, they gave to anyone as he had need. Every day they continued to meet together in the temple courts. They broke bread in their homes and ate together with glad and sincere hearts, praising God and enjoying the favor of all the people (Acts 2:42-47). The church grew internally as the early Christians lived by the apostles' teachings, dedicating themselves to lives of service to God and to their fellow believers. The results of the outpouring of the Spirit at Pentecost were astounding in the early days of the church. Having looked at Luke's discussion of the Holy Spirit before Pentecost and on the day of Pentecost, we are ready to look at the way the Holy Spirit worked after Pentecost as he continued to empower the ministry of the gospel. In the book of Acts, Luke returned many times to the dramatic work of the Spirit after Pentecost. For the sake of illustration, we will focus on three of these passages. We will look first at an event that took place in an unnamed city in Samaria. Second, we will focus on an incident in Caesarea. And third, we will consider the manifestation of the Spirit in Ephesus. Let's turn first to the Spirit's ministry in Samaria, just north of Jerusalem. When the apostles in Jerusalem heard that Samaria had accepted the word of God, they sent Peter and John to them. When they arrived, they prayed for them that they might receive the Holy Spirit, because the Holy Spirit had not yet come upon any of them; they had simply been baptized into the name of the Lord Jesus. Then Peter and John placed their hands on them, and they received the Holy Spirit (Acts 8:14-17). Generally in Acts (like today), the Holy Spirit is poured out on people when they first come to faith, not at a later point in time. In this regard, the scenario here resembled Pentecost: believers received the Spirit after their conversion. It was a special time, a dramatic display of the Spirit's outpouring. Why did the Spirit come to the Samaritans in this way? Well, the best explanation for this unusual outpouring of the Spirit is that it marked the first time Samaritan converts came to Christianity in large numbers. As you will recall, Jesus commissioned the apostles to expand the kingdom of God from Jerusalem to Judea, to Samaria, to the ends of the earth. Jerusalem in Judea was the starting point on Pentecost. But the Samaritans were of mixed heritage, being both Jewish and Gentile, and they did not worship God according to the dictates of the Old Testament. So, when the gospel reached Samaria, it represented a new stage, a major step in the fulfillment of Jesus' commission to his disciples. It was the first major expansion of the gospel across ethnic borders. The Holy Spirit empowered these believers to speak in tongues in order to testify to the apostles and to the rest of the church that the Samaritans could be fully incorporated into the church. With this understanding of the Spirit's work in Samaria in mind, we should turn to Caesarea, where the Holy Spirit once more came to the church in ways that recall what happened at Pentecost. Similar to the event in the unnamed city in Samaria, the situation in Caesarea marked the first time the gospel moved across another ethnic boundary. In this case, Gentiles were converted to Christ in significant numbers for the first time, specifically the Roman centurion Cornelius and his household. While Peter was still speaking … the Holy Spirit came on all who heard the message. The circumcised believers who had come with Peter were astonished that the gift of the Holy Spirit had been poured out even on the Gentiles. For they heard them speaking in tongues and praising God. Then Peter said … "They have received the Holy Spirit just as we have" (Acts 10:44-47). Once again, a striking parallel to Pentecost is evident: those who believed the gospel began to speak in tongues. Peter even commented that the believers in Caesarea received the Holy Spirit just as we have, probably referring to the outpouring of the Spirit on Pentecost. In the Old Testament, Gentiles were outside God's special covenants with Israel. And faithful Jews regularly separated themselves from unconverted Gentiles. So, it came as a surprise to the early church when Gentiles were converted to Christ without first being fully converted to Judaism. Peter … explained everything to them precisely as it had happened … "As I began to speak, the Holy Spirit came on them as he had come on us at the beginning." … When they heard this, they had no further objections and praised God, saying, "So then, God has granted even the Gentiles repentance unto life" (Acts 11:4, 15, 18). By coming on the Gentiles in a way that resembled Pentecost, the Holy Spirit demonstrated that their conversion was genuine, and that his plan to build his kingdom through the Gentiles had begun. Now that we have looked at the Spirit's work in Samaria and in Caesarea, we are ready to see what happened in Ephesus. Paul … arrived at Ephesus. There he found some disciples and asked them, "Did you receive the Holy Spirit when you believed?" They answered, "No, we have not even heard that there is a Holy Spirit." So Paul asked, "Then what baptism did you receive?" "John's baptism," they replied. Paul said, "John's baptism was a baptism of repentance. He told the people to believe in the one coming after him, that is, in Jesus." On hearing this, they were baptized into the name of the Lord Jesus. When Paul placed his hands on them, the Holy Spirit came on them, and they spoke in tongues and prophesied (Acts 19:1-6). Once again, we see significant parallels to the day of Pentecost. After their baptisms into the name of Jesus, the Holy Spirit came on these men, and they spoke in tongues and prophesied. In this passage, Luke described a dramatic outpouring of the Holy Spirit in Ephesus, a major city in Asia Minor, far from Judea and Samaria. As we have seen, Luke had already traced the expansion of the Spirit's work from Jerusalem, to Samaria, and to the Gentiles. Here the unusual factor is that the recipients of the Spirit were disciples of John the Baptist. Presumably, these were repentant Jews who had received the witness of John the Baptist prior to John's revelation that Jesus was the long-awaited Messiah. John baptized with water, but in a few days you will be baptized with the Holy Spirit (Acts 1:5). This story of the Spirit's outpouring on John's disciples in Ephesus indicated that now Jesus' work of bringing the Spirit had reached a new level. Even the disciples of John had to become followers of Christ and to receive the Spirit of Christ. Nothing short of fully embracing Christ and living in the power of the Holy Spirit was in accord with the will of God. Luke made it clear that as the apostles advanced the mission of the church, their work on the frontiers of the kingdom was consistently confirmed by dramatic outpourings of the Holy Spirit. Through the Spirit's power, the gospel spread unhindered from Jerusalem, to Judea and Samaria, and to the ends of the earth. Even today, the power of the Holy Spirit is the only means by which the church can be transformed and effectively spread the gospel. We too must seek to depend on the Spirit's power if we are to be godly and effective witnesses to the gospel message. At this point in our lesson, we want to focus on a second issue that stands out in this verse: the role of the apostles. As Jesus put it here, the Holy Spirit was given to the apostles so that they would become his witnesses throughout the world. In the early church, those who testified to the gospel in adverse circumstances came to be known as "martyrs" or "witnesses." In the most extreme cases, witnesses were tortured or even killed for their witness to Christ. In fact, church tradition tells us that most of the apostles died in this way. This theme of witnessing for Christ in the face of opposition was a prominent concern for Luke as he wrote about the early church. And in this regard, no one surpassed the apostles as courageous, effective witnesses for Christ. We will focus on three dimensions of the apostles' role as witnesses to Christ. First, we will note that their witness was unique. Second, we will see that it was authoritative. And third, we will look at the varied nature of their witness, the way they used different means to present the gospel message. Let's begin with the unique qualifications of the apostles for their office. The apostles were unique for at least two reasons. To begin with, the requirements for their office excluded anyone else from being called as an apostle. We all know that one of Jesus' original twelve apostles, namely Judas Iscariot, betrayed our Lord to those who crucified him. Later, Judas took his own life, leaving only eleven apostles. Then, after Jesus had ascended to heaven, one of the first priorities of the eleven was to choose a twelfth apostle to replace Judas. "It is necessary to choose one of the men who have been with us the whole time the Lord Jesus went in and out among us … For one of these must become a witness with us of his resurrection." So they proposed two men… Then they prayed, "Lord … [s]how us which of these two you have chosen to take over this apostolic ministry" … Then they cast lots, and the lot fell to Matthias (Acts 1:21-26). These verses establish requirements for the office of apostle, all of which were unique to the apostles listed in Scripture. First, they had to have been taught directly by Jesus. Second, they had to have seen Jesus after his resurrection. And third, they had to have been appointed to their office by God himself. The eleven apostles met these requirements because they were taught by Jesus during his earthly ministry, they saw him after his resurrection, and they had all been appointed by Jesus himself. Matthias met these requirements because he was also taught by Jesus during the Lord's earthly ministry, he saw the risen Lord, and he was chosen directly by God through the casting of lots. After Matthias, only one other man in Scripture was appointed to the office of apostle: Paul. Paul was chosen as an apostle after Jesus had ascended into heaven, so the church was originally skeptical about his appointment. But Scripture teaches us that he did in fact see and learn from Jesus after his resurrection, and that he had been appointed by Jesus himself. For example, Paul witnessed the risen Lord on the road to Damascus, as Luke records in Acts 9:3-6. Also, he was appointed to his office by God himself, as we read in Acts 9:15, and 22:12-16. In fact, Luke recounted Paul's appointment three times to establish his claim as a true apostle in Acts 9, 22, 26. Last of all he appeared to me also, as to one abnormally born. For I am the least of the apostles (1 Corinthians 15:8-9). Besides meeting these unique requirements, the apostles were unique because they served at the foundational time in the life of the church. In this special time, they were appointed to the task of establishing the church of Jesus Christ. And because they did their job, and because the church has stood firm on their foundation, there has never again been a need for their special work. Luke noted many ways that the apostles served as the foundation of the church. As we have seen in a prior lesson, the apostles were the primary witnesses who carried the gospel from Jerusalem, to Judea and Samaria, to the ends of the earth. Through their evangelism, the first Christian converts were gained from Judaism, from the corrupted worship of the Samaritans, and from Gentile paganism. Through their leadership, the first churches in history were established, and in them the patterns the church would follow. In these and many other ways, the apostles did unique work at a unique point in time. These times will never come again, and this work will never need to be completed again. God's household [is] built on the foundation of the apostles and prophets, with Christ Jesus himself as the chief cornerstone (Ephesians 2:19-20). There can never be another cornerstone, another Jesus. And in the same way, there can never be another foundation, another set of apostles and prophets who serve as the foundation for the church. Unfortunately, in our day there are still churches who claim to have such authoritative apostles ministering among them. Yet, Luke made it clear that the original apostles were uniquely qualified for the requirements of their office, and they served at a uniquely foundational time that can never be repeated. We still have the witness of the apostles collected in the writings of the New Testament, but we should not expect this kind of apostle in the church today. Having seen that the apostles witnessed to Christ in a unique way, we are ready to look at the authoritative nature of their witness. The apostles' authority is seen in many ways throughout Acts, but for the sake of simplicity we will focus on just four of these. First, the apostles' authority can be seen in the function of their office. Second, it is shown in God's blessings on their ministry. Third, it is evident by their power to perform miracles. And fourth, it is apparent from the revelation they continued to receive. Let's look first at the way the function of their office demonstrates their authority. The word "apostle," or apostolos in Greek, basically means one who is sent. It was commonly used to refer to messengers, to agents sent to accomplish missions, and to ambassadors who were authorized to speak on behalf of those who sent them. For example, when Jesus appointed seventy-two missionaries to preach about the kingdom of God in Luke 10, these were temporary ambassadors, appointed to bear a portion of Christ's authority for a time. He who listens to you listens to me; he who rejects you rejects me; but he who rejects me rejects him who sent me (Luke 10:16). Here we see that the missionaries were to be treated as surrogates for Christ. Those who received the missionaries were counted as receiving Christ, and those who received Christ were counted as receiving the one who sent him, namely, the Father. The seventy-two returned with joy and said, "Lord, even the demons submit to us in your name." He replied, "I saw Satan fall like lightning from heaven. I have given you authority to trample on snakes and scorpions and to overcome all the power of the enemy; nothing will harm you" (Luke 10:17-19). When he appointed them to be his missionaries, Jesus delegated a portion of his authority to the seventy-two. So, their representation of him was not simply symbolic. Rather, they were his authorized agents. They were not infallible teachers, but they did have authority to cast out demons and to proclaim the arrival of the kingdom. I want you to recall … the command given by our Lord and Savior through your apostles (2 Peter 3:2). As Peter indicated here, the apostles' words were to be received because they served as faithful stewards of Jesus' will and teaching. Having described the apostles' function, we should turn to the way God blessed their particular and unique ministry through the spread of the gospel. In the book of Acts, God blessed the apostles by giving them converts almost every time they preached the gospel. As we have seen, Peter's sermon on the day of Pentecost expanded the church from about 120 people to over 3,000 people. And this kind of blessing continued throughout the book of Acts. As an author, Luke was careful to teach his readers that this external, numerical growth of the church was evidence of God's approval and power. One way that he did this was by quoting the words of the respected Pharisee Gamaliel. Leave these men alone! Let them go! For if their purpose or activity is of human origin, it will fail. But if it is from God, you will not be able to stop these men; you will only find yourselves fighting against God (Acts 5:38-39). Viewed from this perspective, the apostles' blessed gospel ministry throughout the book of Acts is evidence that the Holy Spirit empowered and verified their ministry. Besides the proof offered by their function and God's numerical blessing on their gospel ministry, the apostles' authority can also be seen in the miracles accompanying their ministry. Throughout the Bible, one of the main functions of miracles is to prove that God's messengers speak the truth and bear God's delegated authority. In the book of Exodus, Moses performed many miracles before Pharaoh to prove that he spoke for the true God. In 1 and 2 Kings, Elijah and Elisha performed miracles that confirmed that their prophecies and teachings were from God. In the Gospels, Jesus performed miracles to prove that he was the Christ, God's anointed servant and prophet who was sent to save and to rule his people. And in much the same way, the apostles' miracles in the book of Acts proved that their testimony concerning Christ was true. The apostles healed the sick in Acts 5:16. They restored the lame in Acts 14:8. They raised the dead in Acts 9:40. They afflicted the wicked in Acts 13:11. They escaped from prison in Acts 12:10. They survived shipwreck in Acts 27:44, and poisonous snake bites in Acts 28:3. In fact, their power was so great that according to Acts 5:15, Peter's shadow healed anyone it touched. And according to Acts 19:11-12, cloths touched by Paul could exorcise demons and heal disease. Miracles this powerful can only come from God, proving that the apostles were truly his authoritative witnesses. The things that mark an apostle — signs, wonders and miracles — were done among you (2 Corinthians 12:12). Miraculous works empowered by the Holy Spirit were the mark of an apostle, the proof that he was testifying truthfully to Christ and his work. Now that we have looked at the apostles' function, God's blessing on the spread of the gospel through them, and their miracles, we are ready to see how revelation they received served as proof of their authority. Luke recorded many times that the Holy Spirit gave guidance to the apostles, leading them to flesh out the truth of the gospel, to make decisions for the church as a whole, shaping structural elements that allowed the church to grow into maturity. For example, in Acts 10, Peter received a vision from God that taught him to bring the Gentiles into the church without requiring full conversion to Judaism. And in Acts 16, Paul received a vision that he should proclaim the gospel in Macedonia, greatly expanding the spread of the gospel of the kingdom. For Luke's original readers, and for the rest of the early church, the apostles' official function, blessing in ministry, authenticating miracles, and revelation were convincing proofs of their unquestionable authority. And as Luke recorded throughout Acts, the early church responded to the apostles' authoritative witness and leadership by accepting and submitting to all their teachings and judgments. And in the same way, modern Christians must also submit to these authoritative ambassadors of Christ, both through the summaries of their teachings in books like Acts and through their authorized writings in the New Testament. With the unique and authoritative nature of the apostles' witness in mind, we are ready to look at the varied ways in which they and their followers were witnesses of the gospel of Christ to the world. Our discussion of the varied ways the apostles and those who followed them witnessed to Christ throughout Acts will divide into two parts. First, we will consider the various strategies used to testify to Christ. Second, we will mention several of the various settings in which they offered this testimony. Let's look first at the various strategies they employed in the book of Acts. While there are countless ways to describe the strategies the apostles and their followers used in presenting Christ to the world, it is helpful to think of six primary approaches. First, they often appealed to history, especially by making reference to things like the life, death and resurrection of Jesus Christ, events from history that were reported throughout the Roman Empire. The king is familiar with these things, and I can speak freely to him. I am convinced that none of this has escaped his notice, because it was not done in a corner (Acts 26:26). In this passage, Paul's main point was that the basic facts that he and the church proclaimed were known events in the ancient world. Appealing to historic events like this was a common strategy the apostles used when they witnessed to unbelievers. Second, the apostles frequently appealed to truths of Scripture to support their evangelistic endeavor. When witnessing to Jewish audiences, the apostles often appealed to the Old Testament. For instance, in Acts 3:22, Peter appealed to the words of Moses to prove to the Jews that Jesus was the long-awaited Messiah. And in Acts 23:6, Paul appealed to the Jewish belief in the resurrection of the dead that derived from Old Testament Scriptures. The God who made the world and everything in it is the Lord of heaven and earth and does not live in temples built by hands. And he is not served by human hands, as if he needed anything, because he himself gives all men life and breath and everything else. From one man he made every nation of men, that they should inhabit the whole earth; and he determined the times set for them and the exact places where they should live. God did this so that men would seek him and perhaps reach out for him and find him, though he is not far from each one of us (Acts 17:24-27). "For in him we live and move and have our being." As some of your own poets have said, "We are his offspring" (Acts 17:28). Here Paul appealed to Greek poetic writings to build his case for Christianity as he witnessed for Christ in Athens. Fourth, the apostles often appealed to personal experience as they presented Christ to others. In the book of Acts, Luke recorded many times that Paul used this approach. For instance, Paul referred to his dramatic conversion experience on the road to Damascus, which Luke recorded in Acts 9. He recounted this experience before the Jewish crowds in Jerusalem in Acts 22, and he described it to King Agrippa in Acts 26. Fifth, the apostles performed many signs and wonders that proved the truth of the gospel they preached. As we have seen earlier in this lesson, the book of Acts is replete with the miracles the apostles performed. Wherever the Spirit empowered the apostles to work miracles, he did so to support their witness to Jesus Christ. "We gave you strict orders not to teach in this name," [the high priest] said… Peter and the other apostles replied: "We must obey God rather than men!" (Acts 5:28-29). The apostles employed a variety of strategies as they bore witness to the gospel. And through their example and teachings, they trained the early church to do the same. This feature of Luke's record in Acts should encourage Christians in every age to search out the many strategies God wants us to follow as we too serve as witnesses of the gospel. Alongside the various strategies the apostles used to witness to Christ, we should consider the different settings in which they testified on Christ's behalf. There are many ways we might summarize the various settings in which the apostles bore witness to the gospel in the book of Acts. But for the sake of ease, we will group these settings into four basic categories. First, there were public speeches. Here we have in mind those events in which the apostles addressed a large group of people in a public setting, whether in sermons, defense speeches, or other types of orations. In these types of presentations, the apostles were careful to choose their words according to the audience they addressed. As we have already seen in this lesson, they spoke to Jews in one way and to Gentiles in another. Second, the apostles witnessed in the context of dialogue or debate. In this setting, people would have been invited to give counterarguments, and the apostles would have been expected to defend the gospel. For example, in Acts 19, Paul debated in the lecture hall of Tyrannus, a place in Ephesus where rhetorical skills and new ideas were tested before people. Third, in Acts the apostles and those who followed them often witnessed in households. In the ancient world, households typically included far more than just parents and their children. There were often many relatives, friends, and household servants. So, when we read of households in Acts, we ought to envision relatives such as children, grandparents, uncles and aunts, as well as employees and servants, and in many cases even slaves. The total group of a household may have numbered around 15 to 20 on average. We find examples of the apostles witnessing to households in several places in Acts, such as chapter 10, where Peter addressed the household of Cornelius; and chapter 16, where Paul addressed the households of Lydia and the Philippian jailor. Fourth, Acts also contains examples of personal evangelism as a form of witness. For instance, in Acts 25, Paul spoke to King Agrippa as an individual, tailoring his words specifically to Agrippa's knowledge and experience. In short, the apostles did not limit themselves to witnessing only in certain ways or in certain settings. As we survey the book of Acts, we find them taking advantage of every opportunity, presenting the gospel in ways that were appropriate to each audience. In doing so, the apostles provided an example to us, teaching us to emphasize those elements of the gospel that resonate most strongly with our audience, and to find specific ways to relate the gospel to the life of each unbeliever. Having looked at the themes of the Holy Spirit and the apostles, we now turn to our third major theme in Acts: the church that the apostles established. We will explore the theme of the church in two ways. First, we will look at the necessity of the church. And second, we will look at the preparation the church received from the apostles to continue their work. Let's look first at the necessity of the church. Christ commissioned the apostles to build his church. Why? The apostles knew that a handful of men could not take the message of Christ to the whole world by themselves; they needed an army of witnesses to proclaim the gospel of the kingdom in every land. We will look at two factors that made the church necessary for the accomplishment of the apostles' mission. First, we will consider the apostles' physical limitations, the fact that they could not physically accomplish the task they had been assigned. Second, we will look at their temporal limitations, the fact that they would live normal human life spans and be unable to witness to future generations. Let's begin with the physical limitations of the apostles. As we have already seen, the apostles' job was to bear witness to Christ by proclaiming the gospel. But they could not, by themselves, be "living letters" to the entire world. To solve this problem, the apostles delegated much of the responsibility of being authentic witnesses to the church. As people were added to the church through the apostles' evangelism, these believers also became "living letters" in their own right. They lived out the gospel, thereby testifying to their families and to their neighbors about Jesus. Some of them even became missionaries and evangelists. In this way, the apostles created a self-replicating model for authentic evangelism in every generation, with the church itself doing most of the work. To be sure, the church was not able to evangelize with the same authority and miraculous confirmation that attended the apostle's preaching. Nevertheless, the Holy Spirit was still pleased to work through the church's authentic testimony in life and word, and to convert many new believers through this means. [They] traveled as far as Phoenicia, Cyprus and Antioch, telling the message only to Jews. Some of them … went to Antioch and began to speak to Greeks also, telling them the good news about the Lord Jesus. The Lord's hand was with them, and a great number of people believed and turned to the Lord (Acts 11:19-21). With this understanding of the apostles' physical limitations in mind, we should look at the temporal limitations caused by their mortality. The apostles were convinced that Jesus would return, but they did not know when. By the time King Herod killed the apostle James in Acts 12, it was obvious that at least some apostles would not survive until Jesus returned. So, the apostles' trained the church not only to evangelize under direct apostolic supervision, but also to carry on the work of building the church after the apostles died. Now I know that none of you among whom I have gone about preaching the kingdom will ever see me again… Keep watch over yourselves and all the flock of which the Holy Spirit has made you overseers. Be shepherds of the church of God, which he bought with his own blood (Acts 20:25-28). Paul wanted to make sure that the church would continue to depend on Christ to spread the gospel in authentic ways and to bring believers to maturity. So, he made sure that its leaders were prepared to continue their ministries after his own death. Because of the apostles' physical and temporal limitations, the church was central to the apostles' short-term and long-term strategies for advancing the kingdom of God. Now that we have spoken of the necessity of the church for authentic witness, we should turn to the preparation of the church by the apostles. There are many ways in which the apostles prepared the church to continue the mission of spreading God's kingdom. But for the sake of time we will limit ourselves to three considerations: First, we will look at the fact that the apostles instructed the church to remain faithful to the teaching of the apostles, which consisted of their faithful testimony to Jesus. Second, we explore the apostles' provisions for designating church officers, such as elders and deacons. And third, we will see how the apostles prepared the church to endure the hardships that would inevitably come. We'll turn first to the teaching that the apostles passed on to the church. You are … fellow citizens with God's people and members of God's household, built on the foundation of the apostles and prophets, with Christ Jesus himself as the chief cornerstone (Ephesians 2:19-20). Notice here that Paul had in mind not simply that the apostles were the initial leaders of the church, but that their teachings were the foundation of the church, the basis for the church's beliefs. You will be able to understand my insight into the mystery of Christ, which was not made known to men in other generations as it has now been revealed by the Spirit to God's holy apostles and prophets (Ephesians 3:4-6). [The believers] devoted themselves to the apostles' teaching (Acts 2:42). Luke wanted his readers to know that in order to be faithful to Christ, and in order for God to bless our attempts to spread his kingdom, the church must be built not only on Christ as the chief cornerstone, but also on the foundation of the apostles and prophets of the early church. The apostles authoritatively and reliably passed on the work and teaching of Jesus. So, Christians in every age must proclaim, preserve and live by the apostles' teachings. This is true even today for the church of Christ. The most obvious way that this is true for us today is that the New Testament itself was written primarily by apostles. And those books that were not written by apostles, such as the book of Acts, obtained apostolic approval. As the church of Christ today, we build our lives on the writings of the New Testament as the true summation of the teachings of the apostles. Having seen that the apostles prepared the church by instructing it to remain faithful to their teaching, we are ready to consider how they prepared the church to raise up officers to lead and serve the church as it expanded into new territories and new generations. As we have seen, the apostles encountered physical and temporal limitations that prevented them from completing their mission on their own. And part of the solution to this problem was to raise up additional officers in the church. Here we should pause to say that various Christian traditions have understood the government and offices of the early church in a variety of ways. Some branches of the church recognize three offices: bishop, elder and deacon. Others recognize only two offices: elder and deacon. Still others include offices like apostle, missionary, evangelist, and more. The question of proper church government is beyond the scope of this lesson, but we want to emphasize the general point that the apostles appointed additional church officers to ensure that the church would be able to carry out God's mission. In fact, the apostles began appointing additional officers very quickly because they recognized almost immediately that they themselves could not perform even the ministries associated with the local church in Jerusalem. We see this very clearly in Acts 6, where the apostles created the office of deacon to ensure that the church would be able to meet the needs of its members. In this case, the apostles instructed the church to select men who would be responsible for the daily distribution of food. [The apostles said], "Brothers, choose seven men from among you who are known to be full of the Spirit and wisdom. We will turn this responsibility over to them and will give our attention to prayer and the ministry of the word." … [The church] presented these men to the apostles, who prayed and laid their hands on them (Acts 6:3-6). The apostles also appointed elders, often called pastors, to shepherd and to lead the various local congregations of the church. For example, during Paul's missionary journeys, the apostle typically gathered new converts into churches, and appointed leaders who would take charge of the church when he left. Paul and Barnabas appointed elders for them in each church and, with prayer and fasting, committed them to the Lord, in whom they had put their trust (Acts 14:23). In fact, the apostles were so intent on preparing elders for the church that they encouraged the elders to lead alongside them even when the apostles were present. The most prominent example of this in Acts was the council in Jerusalem that was convened to address the Gentile question — the question of how to incorporate Gentiles into the church. This council was presided over by apostles and elders together. In Acts 15, where this event is recorded, the apostles and elders are mentioned together as the leaders of the church at least five times. Some men came down from Judea to Antioch and were teaching the brothers: "Unless you are circumcised, according to the custom taught by Moses, you cannot be saved." This brought Paul and Barnabas into sharp dispute and debate with them. So Paul and Barnabas were appointed, along with some other believers, to go up to Jerusalem to see the apostles and elders about this question (Acts 15:1-2). Paul and the others were sent to consult with the apostles and elders. We find similar phrasing in verses 4, 6, 22 and 23 of this same chapter. Throughout the book of Acts, the apostles called on the officers of the church to carry out God's mission of the messianic kingdom. We see this in Paul's charge to the Ephesian elders in Acts 20. We find it in the prominent role of elders like James, who appears to have led the church in Jerusalem in Acts 15–21. The reason I left you in Crete was that you might straighten out what was left unfinished and appoint elders in every town, as I directed you (Titus 1:5). Paul instructed the young pastor Titus to straighten out what Paul himself had left unfinished. That is to say, the elder Titus was to finish what the apostle Paul had started; he was to continue the apostolic mission of spreading the gospel of the kingdom of God. Paul and the other apostles appointed these officers to take over the work of the ministry from them. God never intended the apostles to do everything themselves. He intended the apostles to establish his church. But he also intended them to train up others who would receive the leadership of the church from the apostles, officers who would continue to build on the foundation of the apostles, expanding the kingdom of God into areas and times that the apostles could never have reached. So far we have seen that the apostles taught the church the work and teaching of Jesus and raised additional officers to fulfill Christ's mission. At this point, we are ready to speak of the way the apostles prepared the church for the hardships that would inevitably come as it pressed forward. Luke described the apostles' work as being fraught with difficulty, danger and persecution. They were frequently arrested and beaten. The apostle James was even executed by King Herod. And the apostles knew that what was true in their own lives would also be true in the lives of other Christians. In one very characteristic episode, Paul was stoned and left for dead by angry unbelievers in the city of Lystra. The next day, he escaped to the nearby city of Derbe. But soon after, he returned to Lystra and other cities to encourage the believers. [Paul and Barnabas] returned to Lystra, Iconium and Antioch, strengthening the disciples and encouraging them to remain true to the faith. "We must go through many hardships to enter the kingdom of God," they said (Acts 14:21-22). The apostles wanted the church to understand that they would face hardship and persecution. Some would even be murdered for their faith. But the goal of the kingdom was worth it. And therefore, the church needed to remain steadfastly faithful to Christ. The way the apostles prepared the church to face hardship can also be seen in Paul's famous address to the elders from the church in Ephesus. In Acts 20, Paul told them that he probably would not see them again. He said that he was going to Jerusalem, where he expected to be arrested and perhaps killed. In the context of this grim outlook for his own life, Paul offered warnings and exhortations to prepare the Ephesian church for their own hardships. Keep watch over yourselves and all the flock of which the Holy Spirit has made you overseers. Be shepherds of the church of God, which he bought with his own blood. I know that after I leave, savage wolves will come in among you and will not spare the flock. Even from your own number men will arise and distort the truth in order to draw away disciples after them. So be on your guard! (Acts 20:28-31). Several apostles wrote similar things in their letters to churches. Peter, John and Paul each exhorted churches to watch against enemies of the faith, to depend upon the Scriptures and their teaching, and to remain faithful to Christ. In all of this, the apostles' intention was not to discourage the churches. Rather, it was to prepare the churches to trust Christ in the face of hardships, to depend on the gifts and graces of the Holy Spirit, and to continue to pursue the mission of God. By grounding the church in apostolic witness and teaching, by establishing officers in the church, by preparing the church to face hardships, and in many other ways, the apostles ensured that the church in every place and age would be able to carry out the mission of expanding the kingdom of God. In this lesson we explored three main themes that are woven through the book of Acts. We have looked at the Holy Spirit's activities and gifting. We have discussed the importance of the apostles as Christ's uniquely authoritative witnesses. And we have seen how the apostles fulfilled their appointed task by establishing the church. The book of Acts is a remarkable work of history and theology. As Luke wrote to Theophilus and the early church, he highlighted the vital importance of spreading the gospel of the kingdom of God through their witness to the nations of the earth in the power of the Holy Spirit. As we apply these same lessons to our lives today, we too should dedicate ourselves to the kingdom of God, looking forward to the day that Christ will return to consummate his eternal kingdom. Dr. Hans F. Bayer (Host) is Professor of New Testament and Chair of the New Testament Department at Covenant Theological Seminary in St. Louis, Missouri. Dr. Bayer received his M.A. and M.Div. from Ashland Theological Seminary, and his Ph.D. from University of Aberdeen in Scotland. Born and raised in Germany, Dr. Bayer taught for ten years at the German Theological Seminary at Giessen, where he also planted and co-pastored a church. He lectures and preaches regularly throughout the U.S. and Europe and has published numerous English and German monographs, essays, dictionary articles, and commentaries, primarily on the Gospels and the Book of Acts. He is also the author of A Theology of Mark: The Dynamic Between Christology and Authentic Discipleship (P&R, 2012).